Anyways. 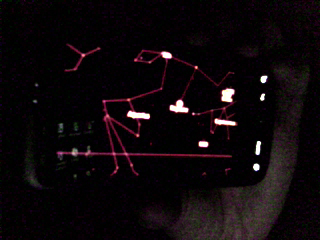 I was playing around with my HTC Desire phone and trying a software called Google Sky Map. With it, you can watch a map of the sky, and see all the visible stars and planets. You can point the android phone in any direction and the sky map follows your moves. I noticed that it showed me that the planet Jupiter is above the horizon, and when I looked to the planets direction I was actually a bit surprised to see that the planet is visible to the naked eye. I didnt think you could see it so clearly. 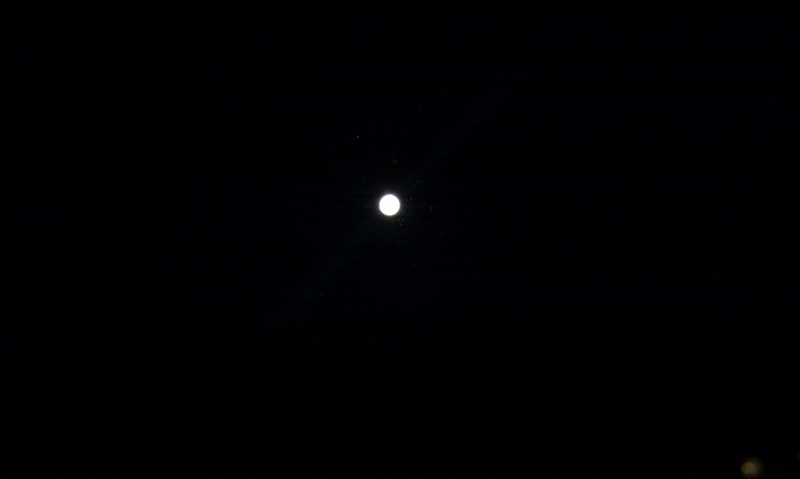 I pointed my android phone towards the planet, and took a couple of pictures. 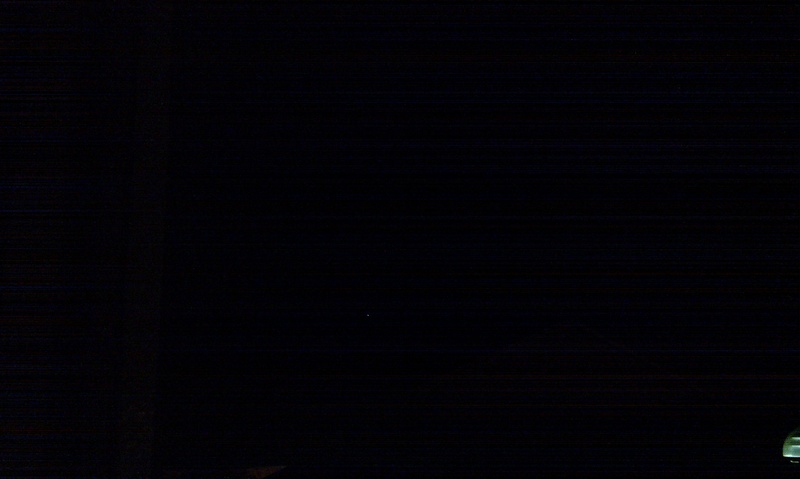 It actually managed to capture enough light, to make it visible on the photo.